Get ready for summer Now! 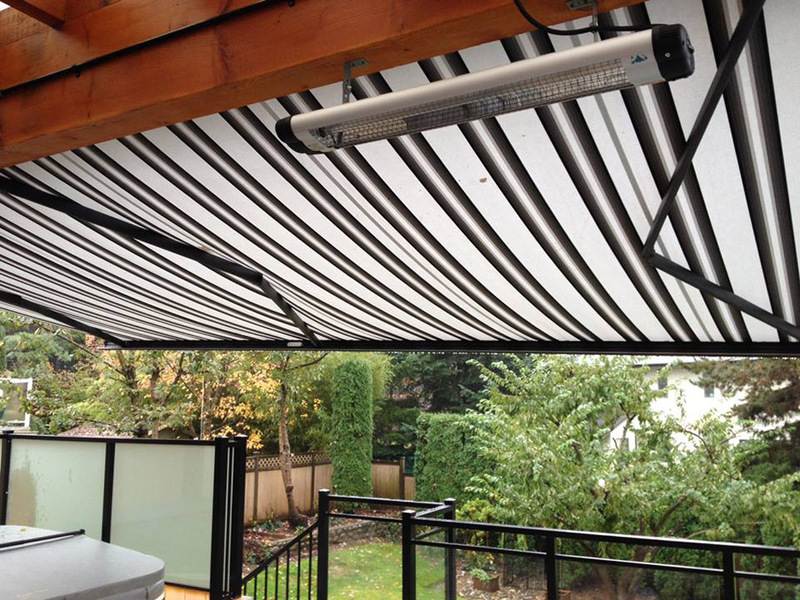 Save the wait times and up to $250 off the best selection of awnings in BC. 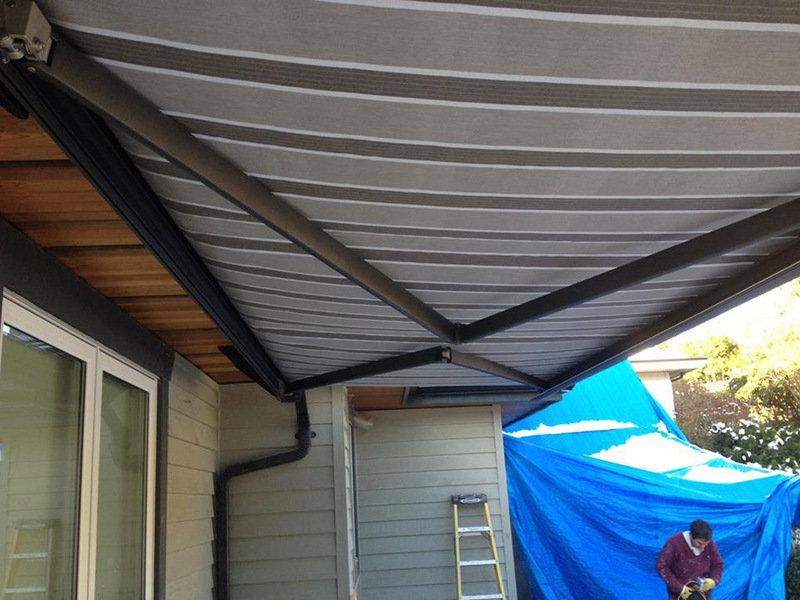 Next summer you’ll be all set to sit out on your deck with a gorgeous Mr. Cover All awning. Call now and get this amazing deal. Awesome idea! 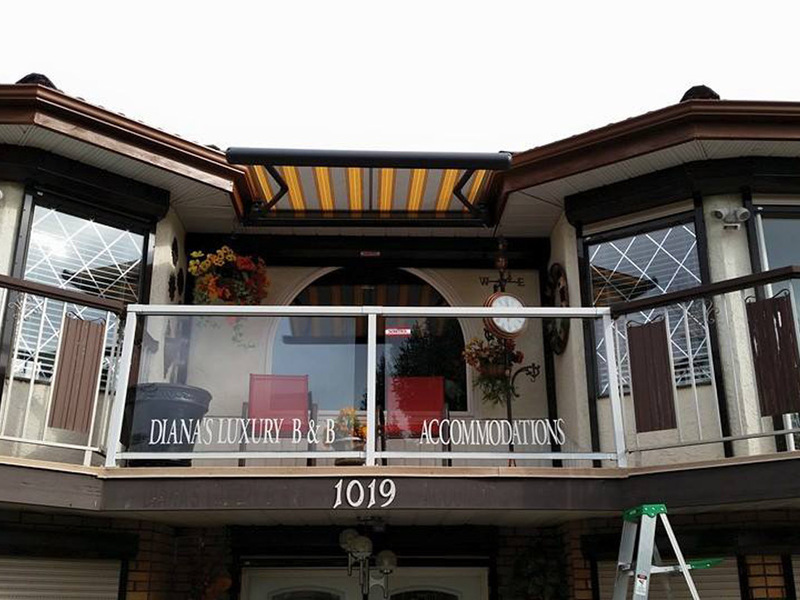 These customers had one of our top-quality awnings installed and also had a heater installed underneath it for those chilly evenings when you still want to enjoy the fresh outdoors. Get your quality awning now before the spring rush! We have a few awnings in stock that we would love to hand over to you for a good deal! Take your pick of over 300 different fabrics. 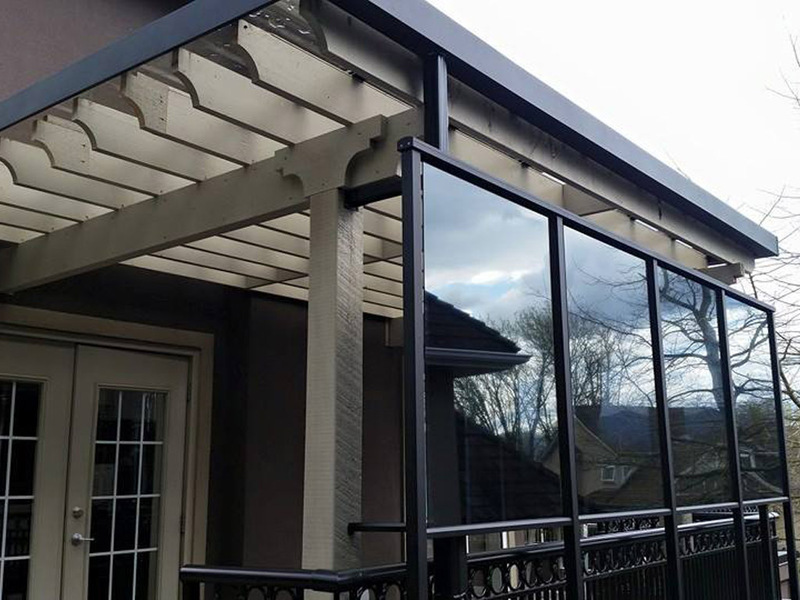 Here is a 24 foot awning we installed this past week in West Vancouver. A beautiful roll screen we installed last year. Create your own shade and still have your view from your patio! 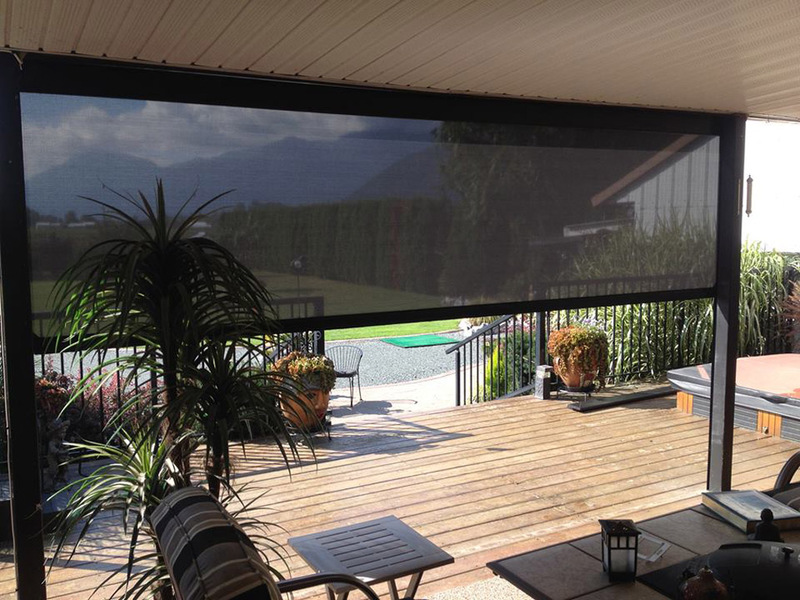 This roll screen will make you feel comfortable and secure while giving you a view out. A special thanks to Peter and Elisa Woo from Mr. Cover All, we hope you, your family and friends enjoy your beautiful new awning. 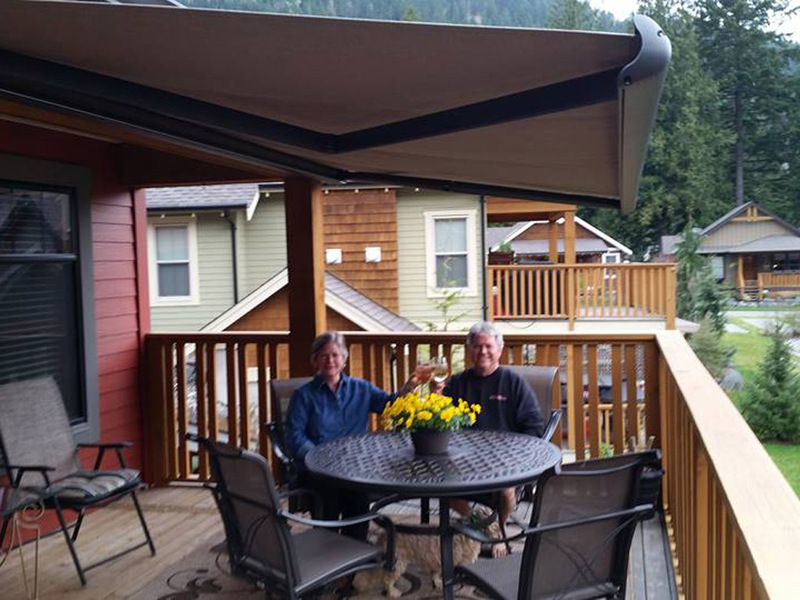 A special thanks to Mr. & Mrs. Sousy, enjoy your glass of wine under your beautiful new custom SunCircle awning from Mr. Cover All. Our team put the final touches on our client’s summer retreat. What a lovely place to spend a warm day outside in perfect relaxation during a holiday! 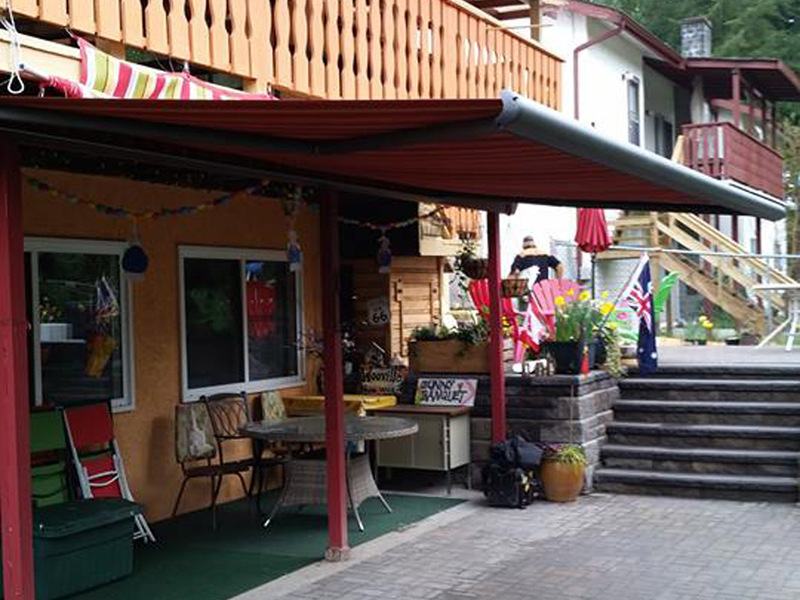 We created this beautiful striped awning covering for this lovely B&B. 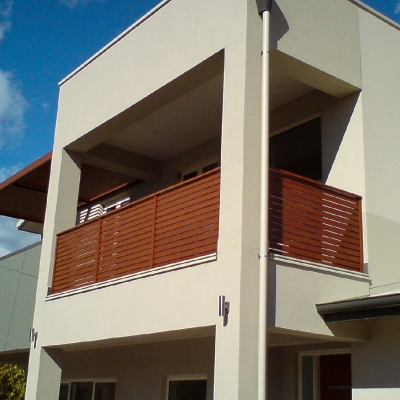 Our Mr. Cover All balcony awning is functional and it really catches the eye.